This is the original review of Tiger Muay Thai from my old blog. I know a lot of you are back in the U.S., Canada, UK, and Australia and are planning to come to Thailand to train Muay Thai Kickboxing, Brazilian Jiu-jitsu or have at least been thinking about it. Here is my personal experience training at Tiger Muay Thai. 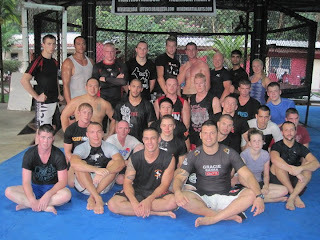 Tiger Muay Thai / MMA Phuket Camp is located on the southern islands of Thailand. 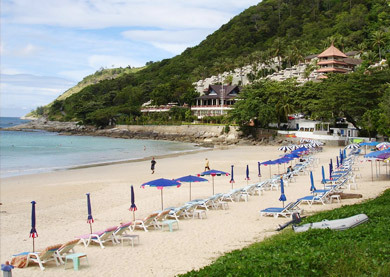 You will be far enough away from the bars and and tourists not to get distracted, yet you are close enough to go to the beach, spend a weekend going to the legendary Phi Phi, or go scuba diving. The location for this camp is excellent and couldn’t be better. TMT is a huge camp with seven boxing rings, and a well built MMA Cage. I counted over 70+ Boxing Bags and it has a complete gym. The best part is everything is very well maintained and the mats are cleaned everyday which is extremely important. For the Muay Thai side you get four different levels and eight different trainers, beginners, intermediate, advanced, and top ring. These Thai guys know what they’re doing and all have fight experience. For MMA / BJJ the training is lead by a Magical Ray Elbe (see his stats on sherdog) who is a veteran of over 30+ fights. The other trainers are also top notch and the best thing is there are always guest trainers from other countries coming by to help out. Often the 1 day seminars are free and for the big name guys such as Royce Gracie you need to pay. The cost of the camp is about $275 per month, which isn’t cheap, actually it’s the same price if not more expensive than training in the U.S. 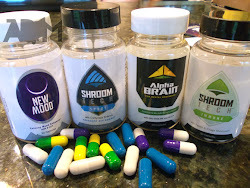 However, it’s worth it, and here’s why. 1. You’ll be training twice as much as you do back home, since you’ll be immersed in the camp and you will live, eat, and sleep training. Most people train at least 2-3 times a day. 2. Everything is included, Yoga in the morning, conditioning, weight lifting, Muay Thai, Western Boxing, BJJ, and MMA. 3. You’ll save a ton of money on things like rent, which is as low at $150 per month living on camp, and you’ll save money on food, which averages only $3 per meal here. There are hundreds of Muay Thai gyms in Thailand, and I’ve trained at three so far. Just down the road from TMT there are other gyms such as Dragon Muay Thai and others. But from all the gyms I’ve seen, Tiger Muay Thai is by far the largest and most complete. Pros: You really feel like you’re living on camp with the motivation of 100 other fighters. All the staff speak good english, and are very helpful. I personally learn a lot more, and push myself harder when there are other people training in the group. Pros of other camps: Smaller camps generally give you more one on one time with the trainers since there are less people to train. However, you also have less partner’s to train with, and the motivation lacks unless you are a self starter. If you are a complete beginner and have not even watched a lot of UFC or Muay Thai on TV, then I would recommend signing up for a couple 1 on 1 classes so they can give you the personal attention and help you with the basics. The 1 on 1 training is also good if you are already good and want to become great. Overall: I would highly recommend training at Tiger Muay Thai / MMA Phuket and think it’s a great way to grown as a man, work on your fitness, and technique in all aspects of your life. But if you go try to spend at least 1 month there for maximum results. you think the gym for working out is beneficial for TMT? Is their one near by if training at PTT? For me personally I only lift heavy weights once a week max. A lot of guys end up doing it instead of muay thai and mma, which is a waste since you could have went to the gym at home. You don't need a Gi to train at PTT but they have a Gi preferred class 3 days a week. I don't own a Gi so I always went just in a rash guard and MMA shorts and it was fine. They don't sell Gi's in Phuket and it'll be very hard to find in Thailand, so you are better off buying one from home if you want one. you make any money from your fights? You get a "fight purse" in Phuket it's usually 6,000 baht but you have to give some of it to the camp for booking it and your cornerman. So you usually end up with 4,500 in your pocket. Water isn't free, and adds up if you buy it all the time. Instead, invest 100 baht ($3.33US) in a big refillable bottle directly across from TMT. It's only 10 baht to refill. I went for 3 weeks good thai trainers and excellent facilities, while I was there i was guillotined in training by the wrestling instructor JJ Ambrose in what was supposed to be light sparring which nearly made me a quadraplegic and I needed emergency surgery when I returned home, the injury also ended any hopes of an MMA career as I will never be able to safely grapple again. Also there is no experienced medical type people to deal with injuries in the camp and the camp do not have anybody they recommend either. So I recommend make sure you know who your sparring with and if they respect there training partners and have a good Travel insurance policy to deal with medical bills. Wow...that is crazy to hear, so sorry for your experience bro. Any updates? This question has already been asked and answered 100 times. Please look through the older posts. I went to Tiger Muy thai last year going back again this year for just over a month, very nice facility have nothing negative to say about it, and Deng who will 'hit you with a stick' if you are slacking off, top dude! hey mate.. just wanna say thanks for the info on this blog.. Endless summer baby! It's always summer in Thailand. If I lived somewhere cold like Ireland, Sweden or anywhere in the North, I would make it a point to spend every summer in Asia. I'm taking a group of 8 with me for one week to TMT(end jan to feb 2013)and was thinking of staying at the camp, since we are only there for a week. What are you thoughts or what have you heard from others about staying at the camp. dorm rooms, Fighters bedget and deluxe rooms. Hey I doubt they'll have room at the camp for 8 guys for jus that one week. You might have to stay across the street at a hotel. You can get 4 rooms and share. Email TMT and see what they say. 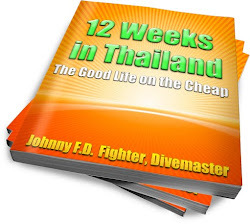 You can read my book at www.12weeksinthailand.com for a full breakdown of the monthly costs.